Many IBS patients report a connection between the quality of their sleep and their IBS symptoms. Their observations are validated by research that shows that sleep disturbances are well-documented for people with irritable bowel syndrome. In fact, sleep disturbances are one of the most common non-intestinal complaints of those with IBS. Some of the sleep disturbances seen include difficulty falling asleep, sleeping for shorter periods of time, waking up frequently during the night, and not feeling refreshed after a night's sleep. Studies have shown that while the number of arousals and episodes of waking up were the same for people with and without IBS, people with IBS are more likely to use the bathroom for a bowel movement during the night compared with the general population where they might need to urinate. People with IBS reported feeling abdominal pain during these awakenings. These symptoms can greatly impact the quality of life for anyone, with or without IBS. People who have sleep disturbances are 1.6 times more likely to have IBS than those who don't. There is some thought that sleep disorders are part of a vicious cycle of poor sleep leading to hypersensitivity of the gut and then the intestinal symptoms leading to poor sleep. A Bad Night's Sleep Portends a Bad IBS Day: Morning IBS symptoms appear to be related to the quality of your sleep the night before. The worse you sleep, the worse your symptoms will be. That bad night's sleep is also likely to affect how you are feeling at the end of the day. Knowing this, you may want to be prepared for more IBS symptoms if you didn't get a good night's sleep. A Bad IBS Day Doesn't Predict Sleep the Next Night. Luckily, a bad IBS day does not seem to affect the quality of sleep at night. If you are experiencing symptoms during the day, you don't need to add worry about how you'll sleep that night to your list to things causing you stress. There May Be Differences Between IBS Subtypes: During sleep, differences have been found in neuroendocrine (hormone) levels between patients who have constipation-predominant IBS (IBS-C) and those who have diarrhea-predominant IBS (IBS-D). Also during sleep, differences in autonomic nervous system functioning, as measured by heart rate changes, have also been found among the various IBS subtypes. 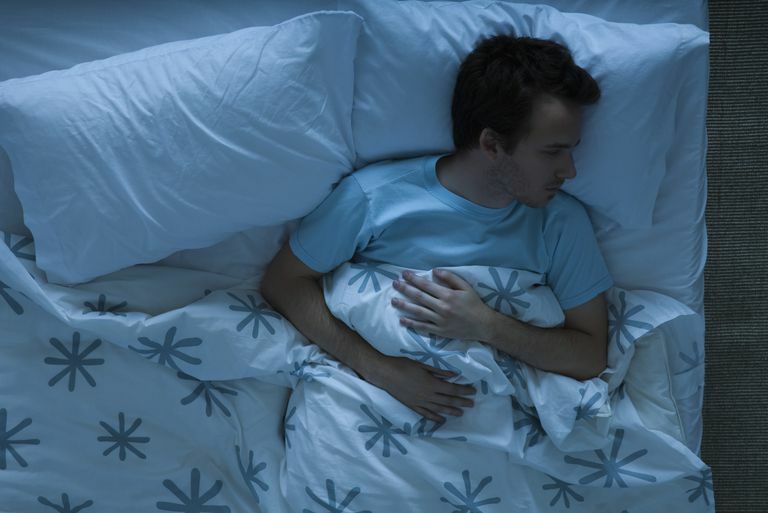 Objective vs. Subjective: IBS patients may misperceive how bad their night's sleep really was. Studies that objectively measure sleep quality using polysomnography found discrepancies between patient reports of poor sleep quality and the objective data. Depression: Sleep disturbances tend to be more pronounced in IBS patients who also suffer from depression. Sleep disturbances can affect your quality of life. Discuss your sleep problems with your doctor and see whether a further workup is warranted. Practice good sleep hygiene to give yourself the best chance of a good night's sleep. Buchanan DT, Cain K, Heitkemper M, Burr R, Vitiello MV, Zia J, Jarrett M. Sleep measures predict next-day symptoms in women with irritable bowel syndrome. J Clin Sleep Med 2014;10(9):1003-1009. Burr R, et.al. "Catecholamine and cortisol levels during sleep in women with irritable bowel syndrome." Neurogastroenterology & Motility 2009 21: 1148-e97. Jarrett M, et.al. "Autonomic Nervous System Function During Sleep Among Women with Irritable Bowel Syndrome" Digestive Diseases and Sciences 2008 53:694-703. Tu Q, Heitkemper MM, Jarrett ME, Buchanan DT. Sleep disturbances in irritable bowel syndrome: a systematic review. Neurogastroenterology & Motility. 2016;29(3). doi:10.1111/nmo.12946.